"He had prepared for this moment for several months. Each clue would lead her to the next, recalling one by one the places of that magical first encounter. She is finally there. Overcome by the beauty and power of jasmine in bloom, it is apparent their love is ready for the next step." 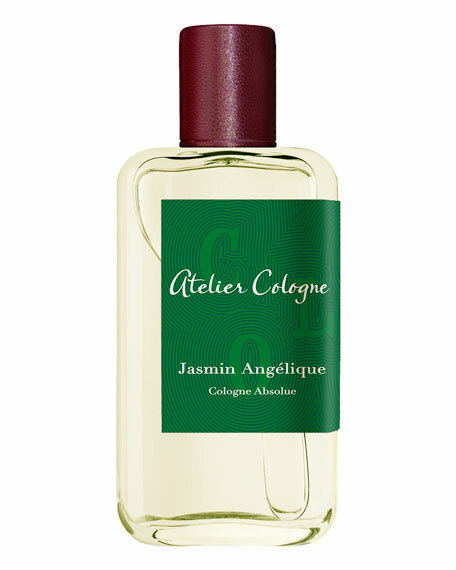 Inspired by the legendary Eau de Cologne, a Cologne Absolue is a genuine Pure Perfume. For the first time, citruses are blended with the most precious natural raw materials for perfectly balanced creations and exceptional lasting power. Each Cologne Absolue tells the story of treasured emotions and powerful memories. For in-store inquiries, use sku #1796441.